A job I actually really love – this decision was by no means easy. I’m fortunate to have some money saved to be able to do this, but the words “I’m unemployed” are genuinely terrifying. I’ve had at least part-time work since I was 16 years old; waitressing, bar work, ad hoc social media support, and of course 6 years in total at IBM. This week has been hectic and emotional as I have worked my arse off to ensure that my final advertising project at our annual event, Think London, went really smoothly. In addition I’ve been overwhelmed by the support I’ve received from friends, colleagues and my family following my decision to leave the “mothership” (my only real career employer), travel and pursue something new when I return. “So brave”, “you’ll have such an adventure” – amazing words from those around me who have listened to me recount my decision making process, which started sometime back in early May (I thought until I found a diary entry commenting on it as an option, back in Jan). 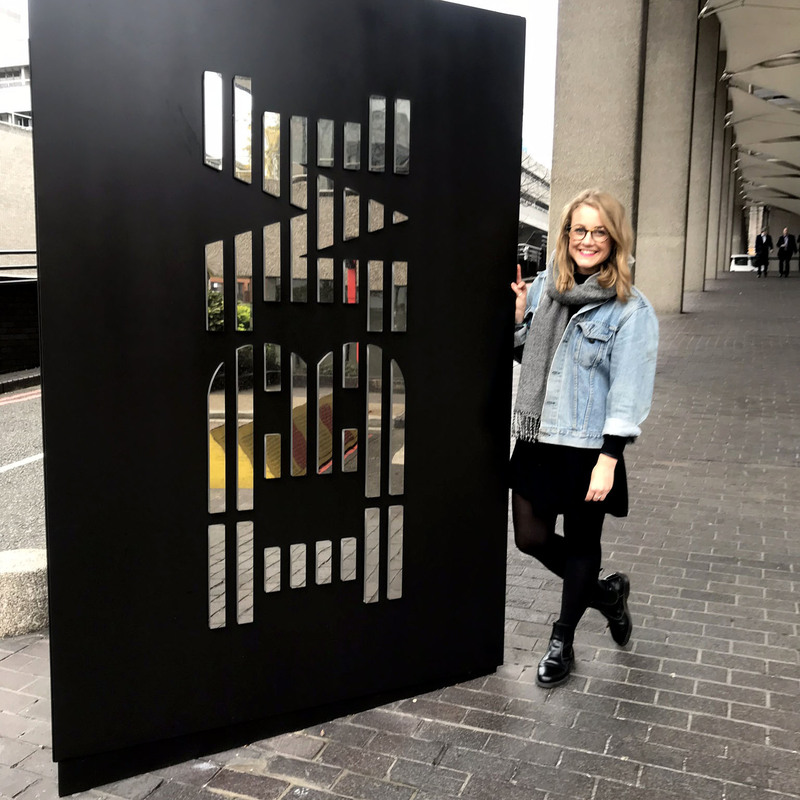 I sobbed in the corner of a meeting room with all my colleagues after the Think event had finished on Weds evening, clutching a glass of champagne and toasting the IBM marketing team who have known and watch me grow since I was 20. I’ve been lucky in IBM to have amazing managers, and this has enabled me to be totally transparent with them about my career aspirations. But this enables them the opportunity to support and help me reach them. I’m not talking “5 year plans”, I’m talking next role or skills required for the future. Development, new opportunities and gaining new skills are best achieved with management support so by being honest during every step of the way I’ve ensured support in training, going for new roles and moving teams. Even in my final few months I’ve been totally honest with my immediate team about my plans, and this has meant planning for cover has been more transparent and I haven’t felt like I’m lying every time we talked about work and projects at the end of the year and into 2019. This is possibly one of the hardest things to do. I’ve had days off earlier in my career due to stress and burn out, I’ve managed anxiety during evenings when big projects have loomed over me, I’ve worked late, worked early, worried over the weekend but it wasn’t until earlier this year I really pinned down for myself how to keep myself sane. Exercise – very good for relieving stress and giving you the chance to work things out in your head in a fresh environment. Clear, time focussed to do lists – ok you’ve got 30 minutes, what do you have to achieve right now and what is realistic. Time out – feeling the pressure, people really frustrating you? Take a walk around the block, get some air and just press reset. Be reasonable with yourself – lying in bed thinking “argh what about xyz” ? Can you do something about it now? Perhaps write a list, but be realistic, often getting the sleep you need is more powerful than actioning things late at night. Everyone is different but these four things really helped me this past 18 months. In an enormous organisation like IBM I’ve had to deal with UK colleagues, European colleagues, global colleagues, partners, clients, agency teams, varying levels of seniority and roles across the business. Despite anyone’s job title or role, they’re still a human and being friendly yet respectful goes far. I’ve maintained a kind approach to anyone I’ve dealt with over the years, even if their communications to me have seemed rude or unhelpful, it’s much more beneficial to be known as someone who is consistently friendly and helpful despite the pressures we all face. Some of the projects I’ve worked on at IBM have seemed too hard, pushed me outside my comfort zone but given me the opportunity to learn a great deal about the work itself and me. Put your hand up to work on projects which seem too hard and just do it. You’ll learn more about your organisation by getting out of your comfort zone, learn more about different parts of your industry and of course yourself. My final test this week has been organising colleague, clients and agencies to make our client photo studio come to life at Think on Wednesday so we could have real-time adverts being created at the event showcased around London on digital advertising vans. Friends aren’t readily available in all companies I appreciate that, but if you can find one or two that act as your support mechanism on a daily basis, work will instantly become easier. Given I’ve only worked at IBM, loads of my Southern based friends I’ve met via work and many of those have become true, real-life friends I can call on no matter what. I only hope than many of you find at least one great friend at your workplaces, it’s so important. This is a fear for many, asking questions in meetings for fear of looking stupid or not paying attention. This is the most brilliant way to learn from those around you whether that’s experts, colleagues, industry peers or even just going on google. Never stop learning and asking questions is the best possible way to source knowledge and new stuff from the people around you that know it. Social media, google and online education can provide similar insights, but engaging with people is by the far the greatest asset you can have. Our paths never crossed in IBM, but enjoyed your blog and couldn’t agree more with your points. Good luck in your adventures!